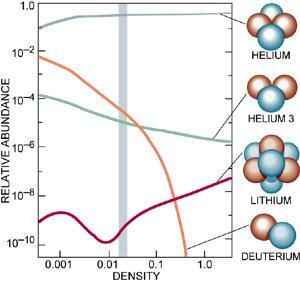 hydrogen, helium, helium-3, lithium, and deuterium! 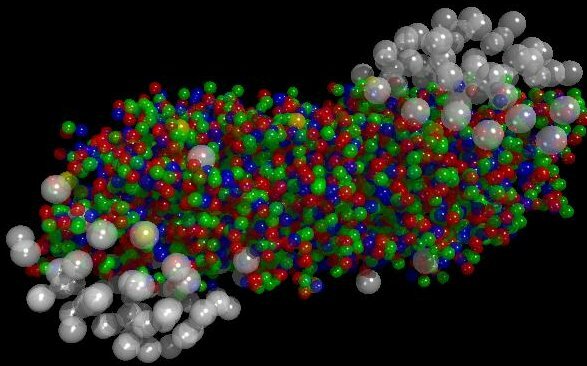 These were formed from a hot "soup" of protons and neutrons. when the universe was only 3 minutes old. when the universe was only 0.00001 second old (one ten-millionth of a second)! Our understanding of how the universe was created, which was previously unverified theory for any point in time before the formation of ordinary atomic nuclei, about three minutes after the Big Bang, has with these results now been experimentally tested back to a point only a few microseconds after the Big Bang.